Turkey's environment and urbanization minister on Wednesday said that the country will start to charge plastic bags in 2019 in fight against increasing sea pollution. Speaking at Anadolu Agency's Editor’s Desk in capital Ankara, Murat Kurum said that plastic bags will be charged with 0,25 Turkish lira ($0,046) in 2019. 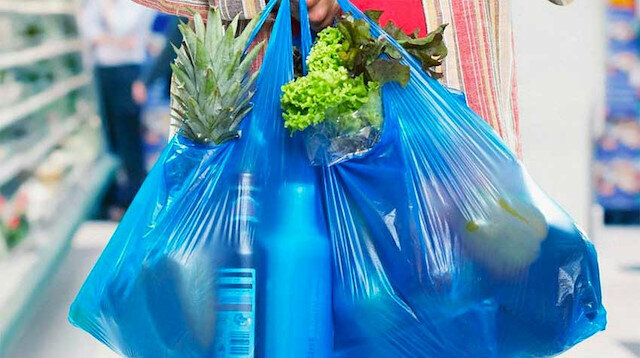 Kurum said that the regulation aims to reduce the use of plastic bags, as the average annual usage is 440 plastic bags per person in Turkey. "By charging the plastic bags, we want to reduce the number from 440 to 90 in 2019, while we aim to reduce this number to 40 in 2025. So, we will save up 90 percent," he said. Referring to a data that estimates the number of plastic waste in the seas will exceed the number of fishes in 2050, Kurum said the new regulation also aims to prevent it. The minister also said that the goal is to increase the usage of alternatives to plastic bags such as cotton tote bags, string bags and paper bags. The regulation will be co-inspected with other institutions, Kurum said, adding that violations will be fined. Also mentioning the sea pollution in western Izmir province's Foca district and northwestern Kocaeli province, Kurum said that 25 million Turkish lira ($4,6 million) were spend to clean the pollution in Foca, while criminal action was taken against companies in charge. He added that the fines against companies and ships that cause sea pollution will increase up to five times to prevent further pollution that affect beaches. "We have 460 Blue Flag certified beaches and we are the third in the world. We will increase this number," he said. Blue Flag is an eco-label awarded to beaches, marinas, and sustainable boating tourism operators by the Foundation for Environmental Education (FEE).